Beautiful brick home offering 3BR's (all on the main level) & 3BA's. Lg living room on main w/cozy wood fireplace. Huge kitchen w/ island that includes all stainless steel appliances. The finished basement has a LG family room w/full bathroom, gas log fireplace AND a Fisher wood burner! Over sized windows throughout w/fantastic views of rolling farmland & long range mountain views from each one! An abundance of decking & patio's to take in mother nature, relax & entertain. Over sized 2 car garage. 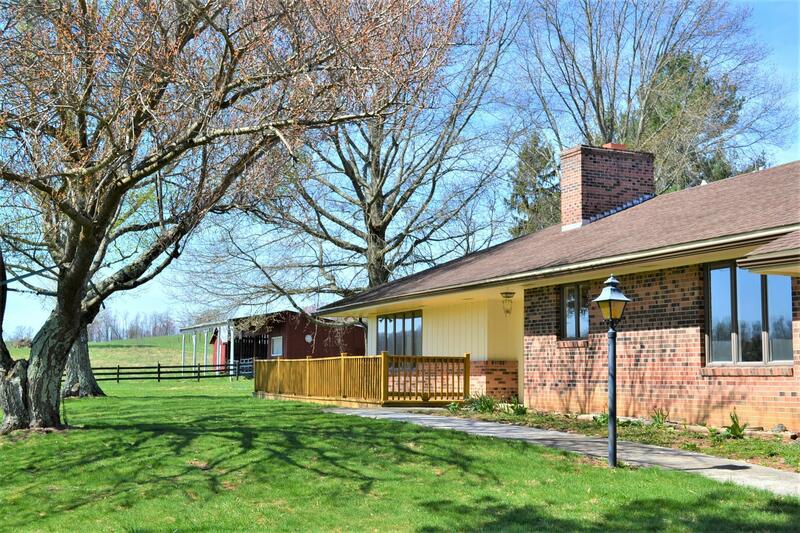 Property includes a nice sized barn with 2 stalls & an outbuilding. All of this on a peaceful & private 3.201 acre lot. Plenty of room for a large garden, safe play & pets. Excellent for horses or a mini farm! Excellent location to Lewisburg/Union. Lots of recent updates! Broker/Agent Owned.